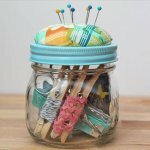 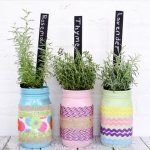 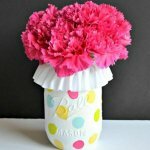 Mason jars or any other glass jars are of so much crafting value and the crafters all over the world have proved this fact by producing lovely jar holders, planters, diy vases etc by recycling them. 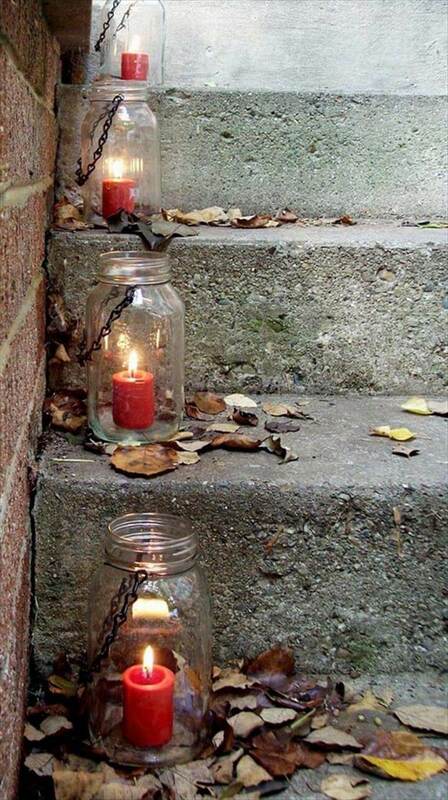 And with every passing day something more marvellous from these empty jars is being created to jazz up the home decor in so much fun ways. 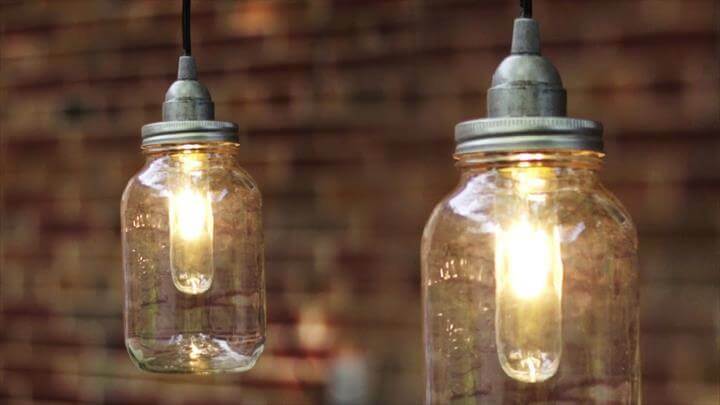 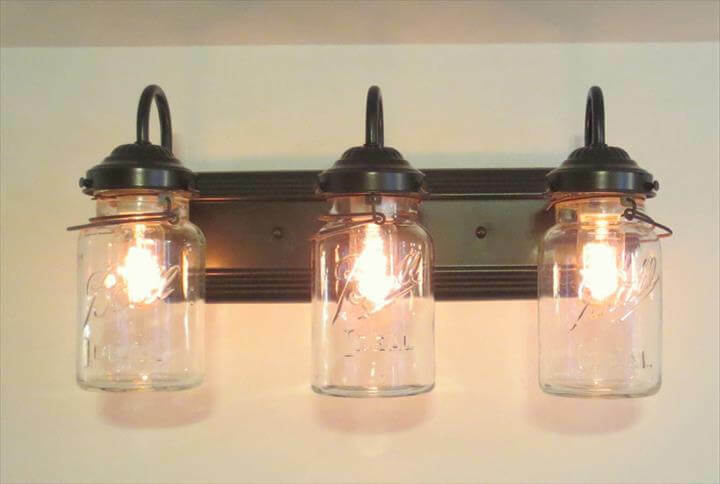 Another practical application that the DIY mason jars can perform after serving their primary function in the kitchens is their re-use as the adorable lights in a house. 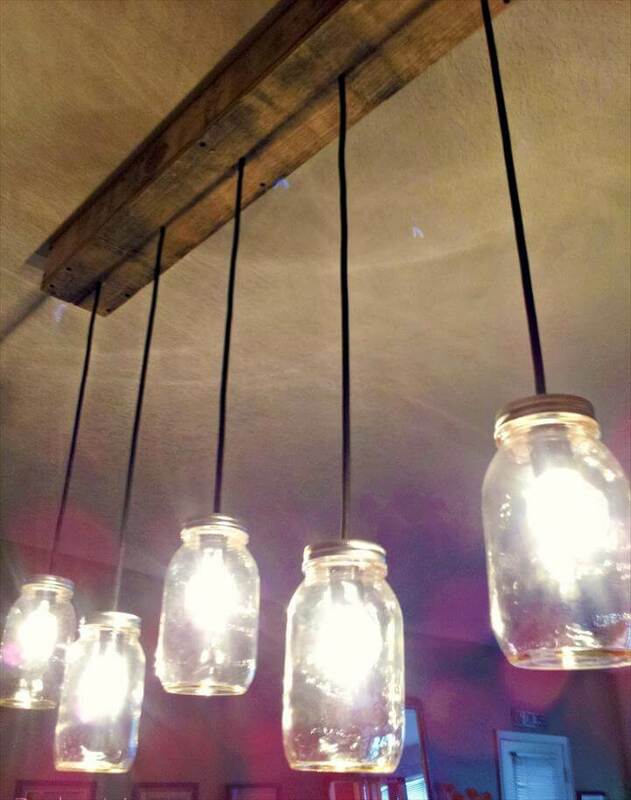 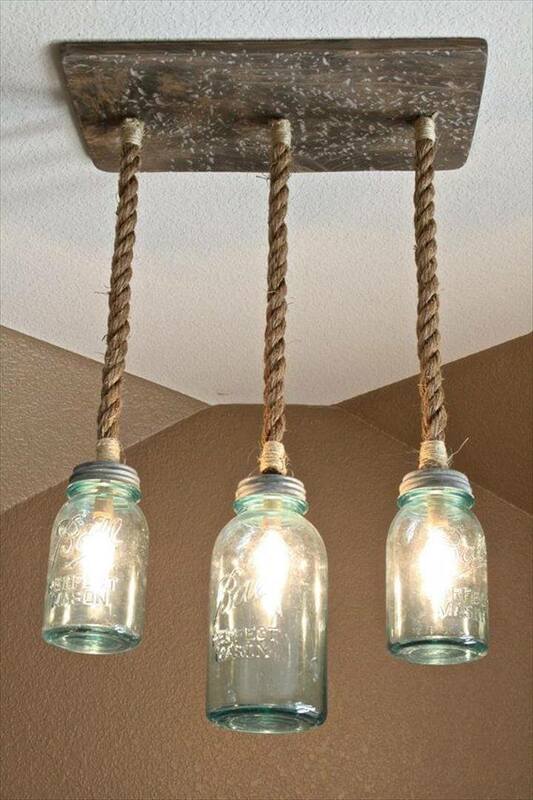 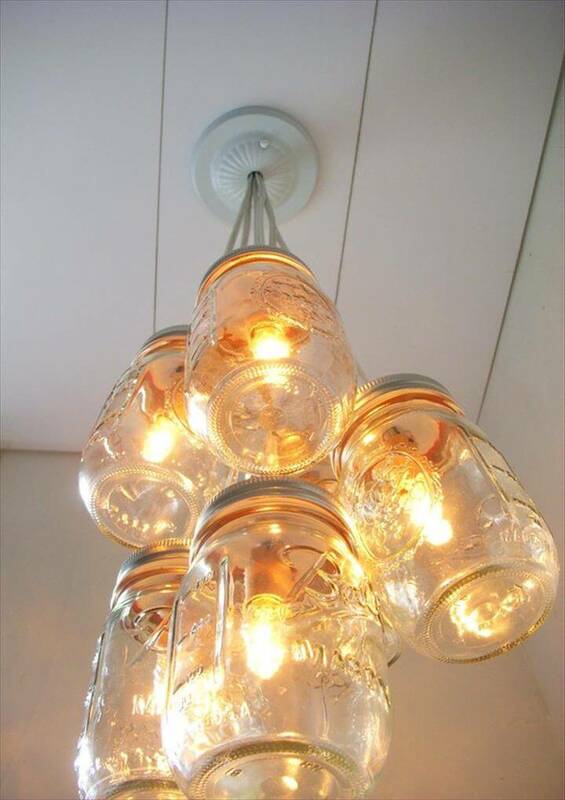 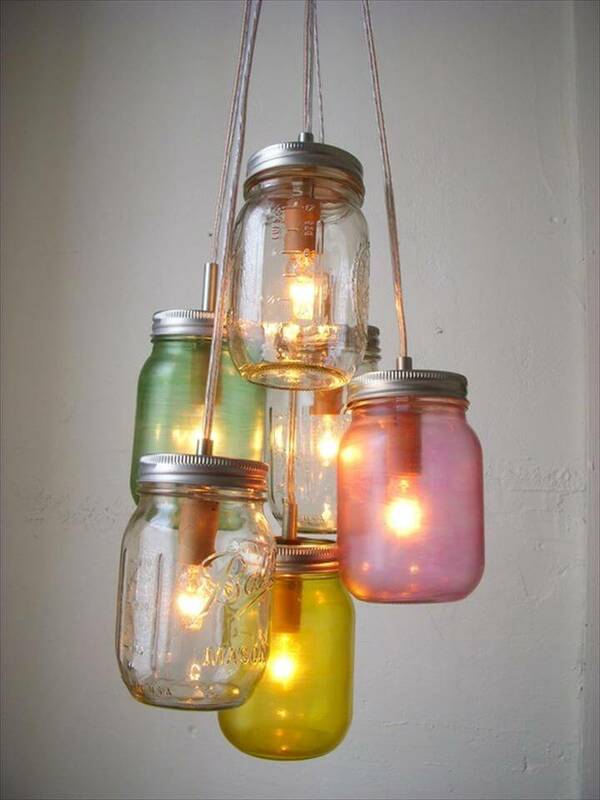 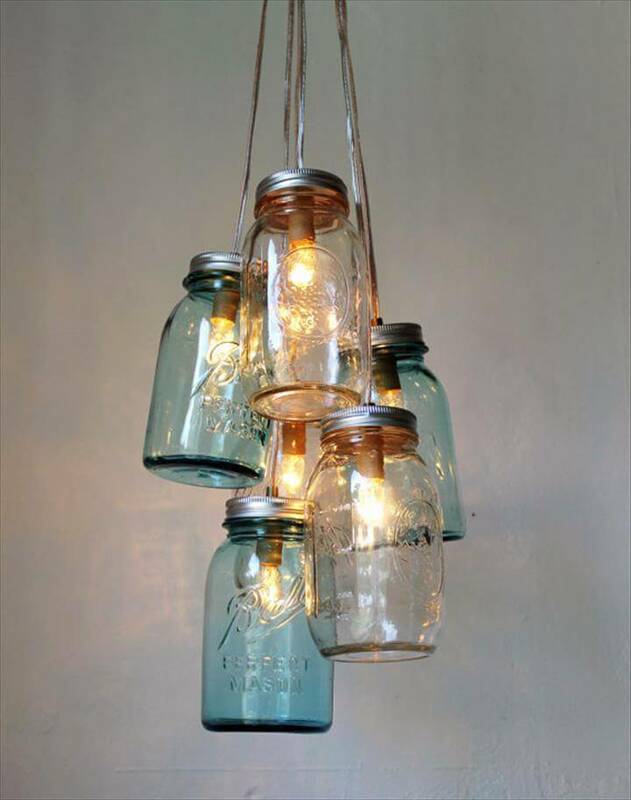 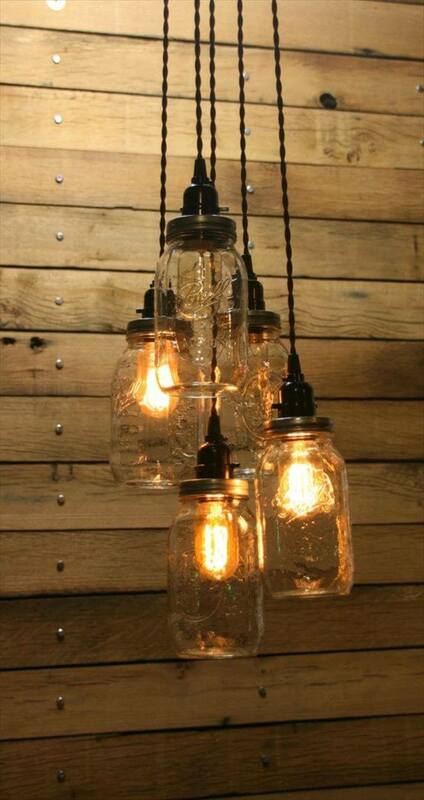 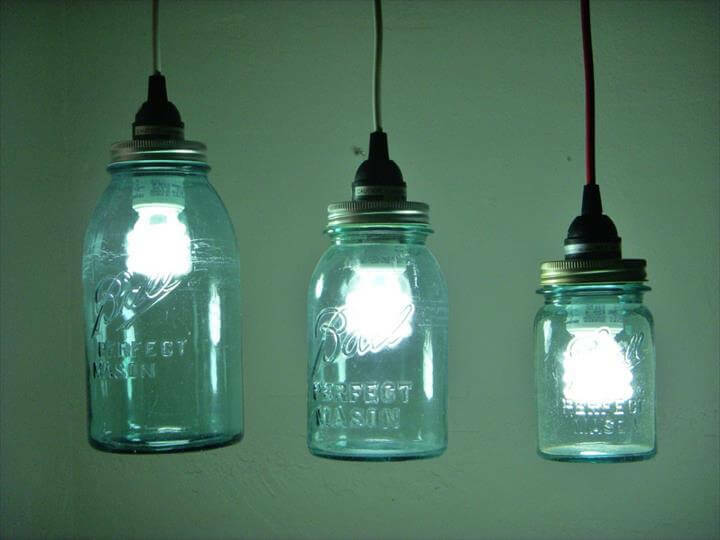 Be it bulbs, wall mounted lights, table lights or the mighty chandeliers all can be interestingly crafted from the mason jars yourself at home with some thrifty finds. 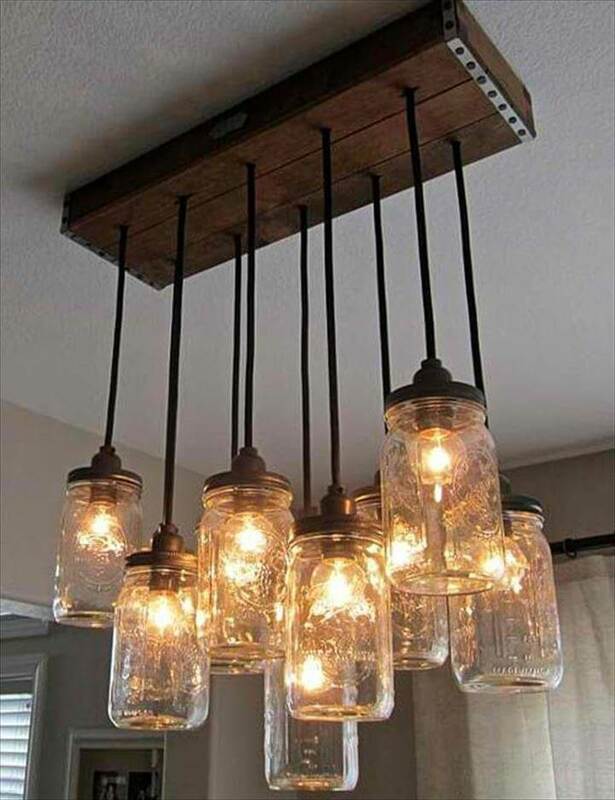 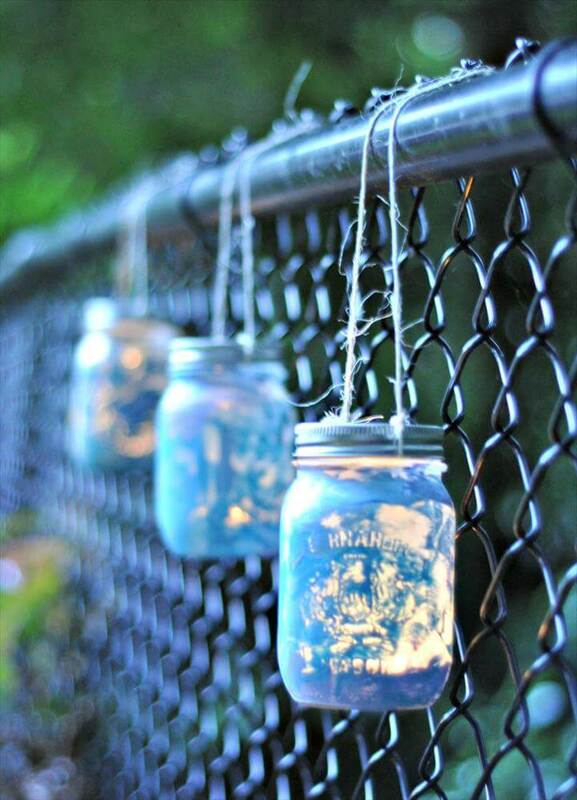 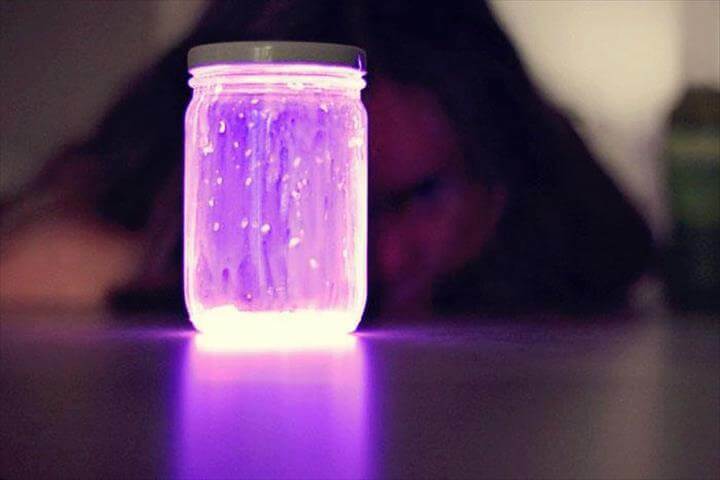 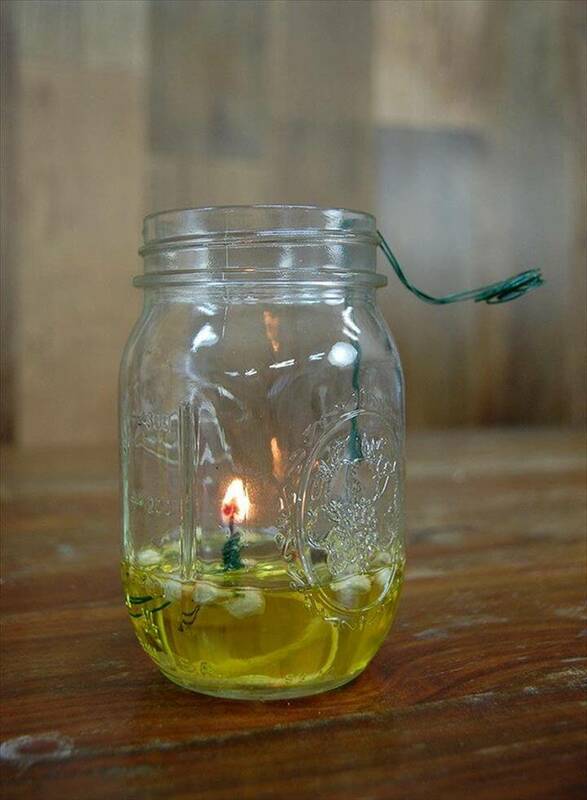 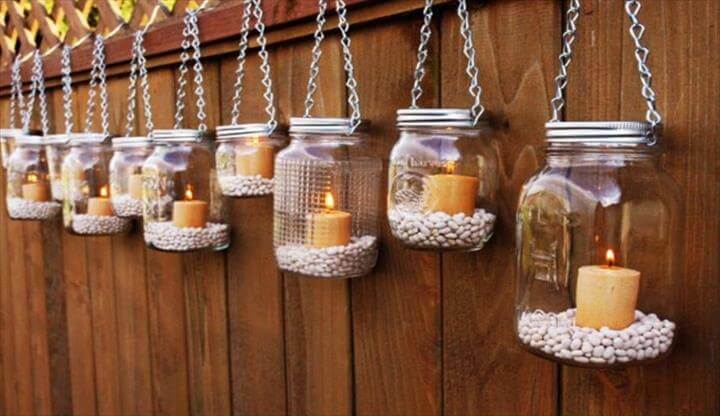 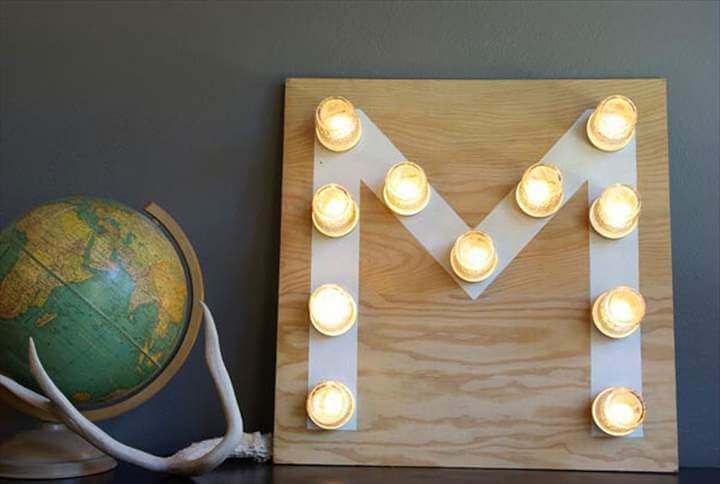 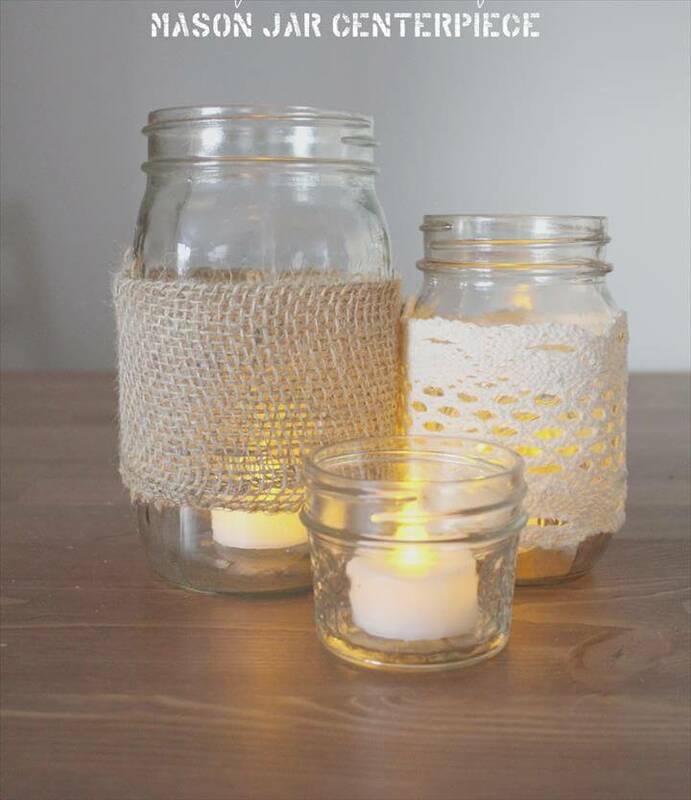 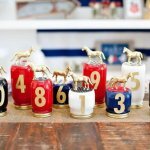 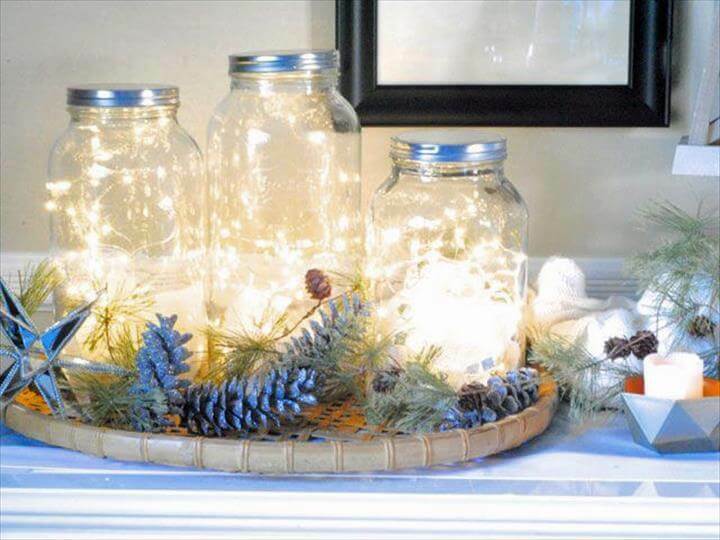 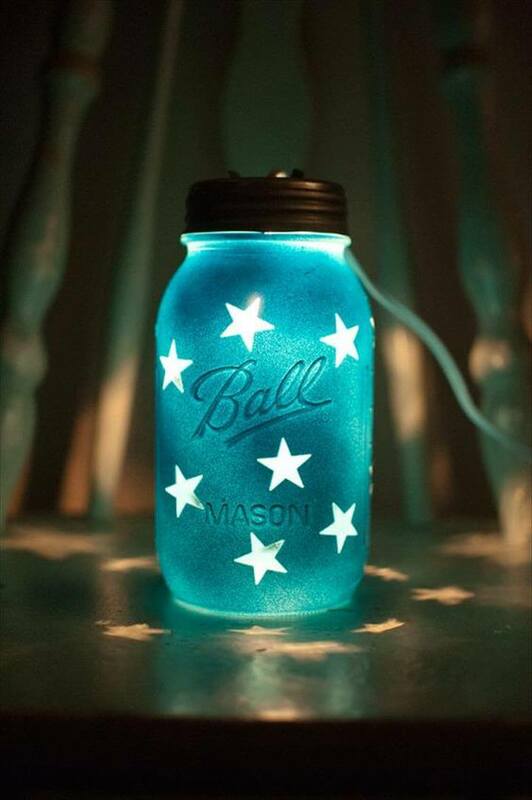 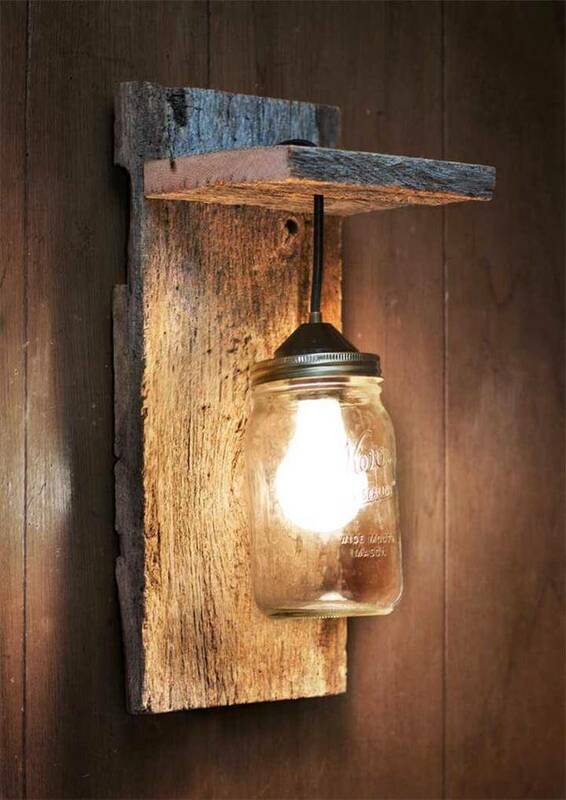 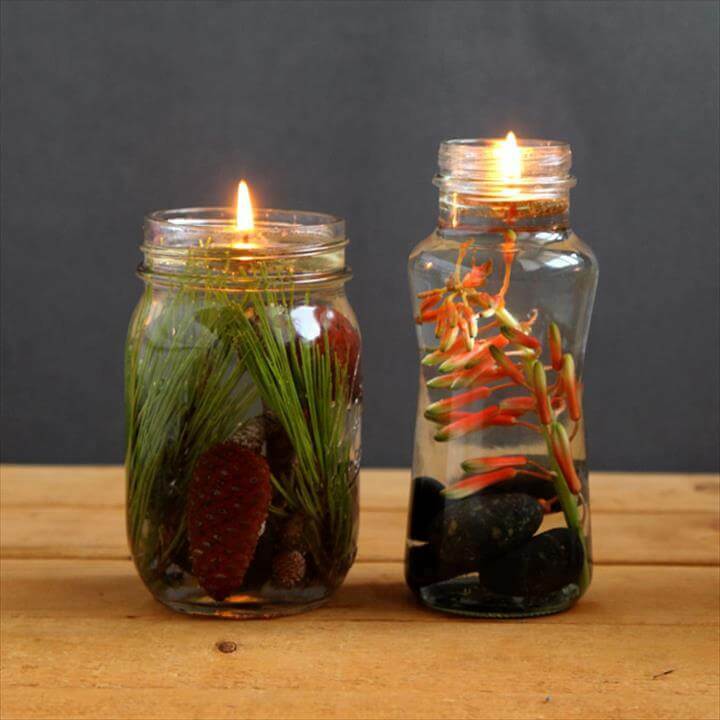 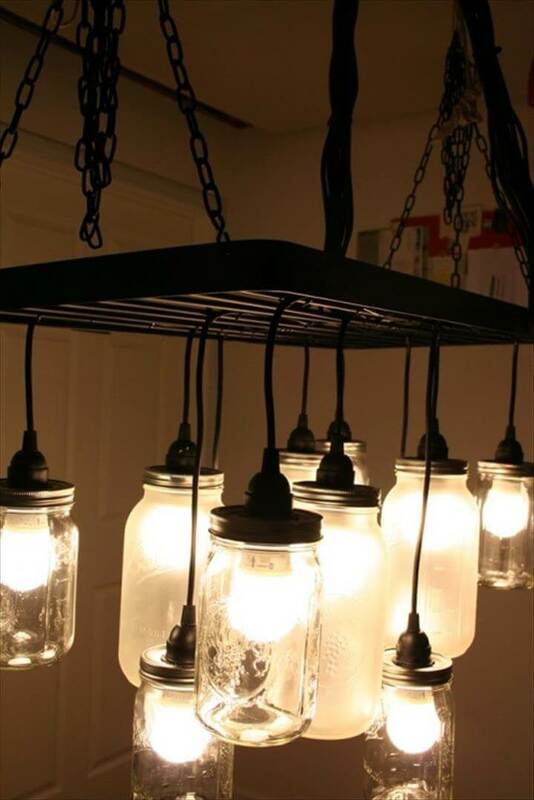 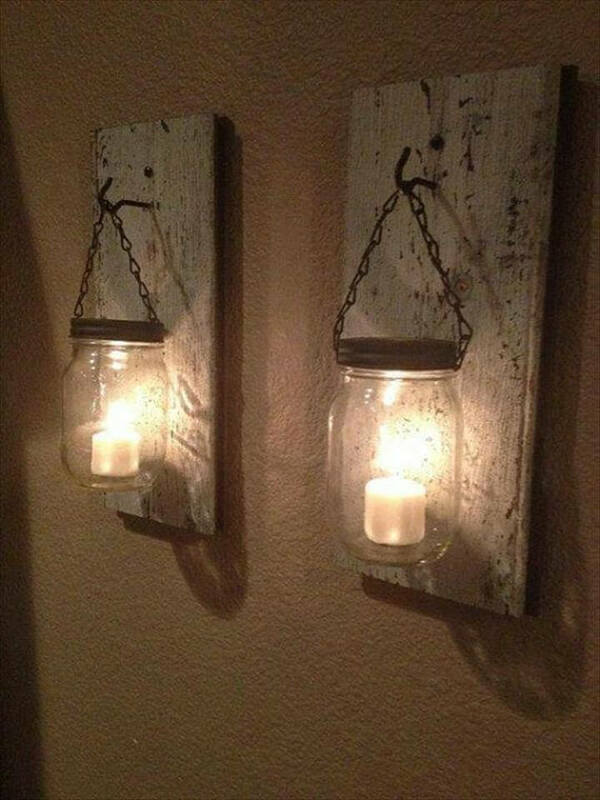 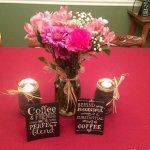 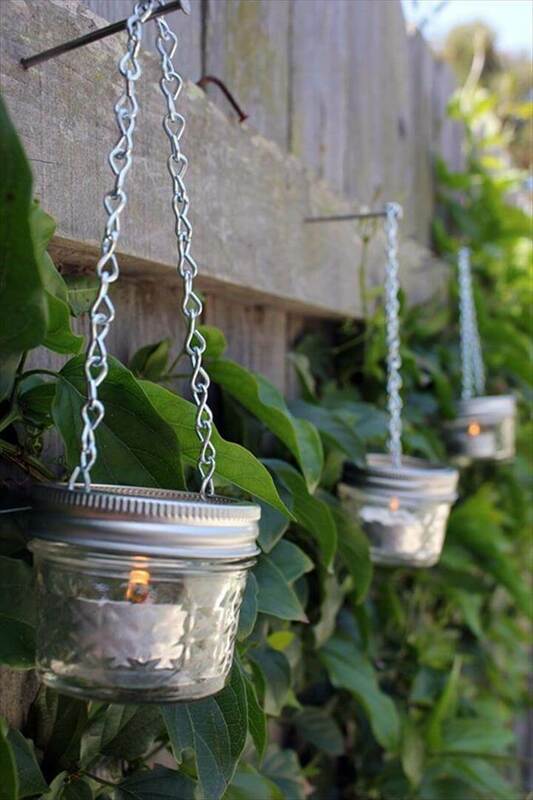 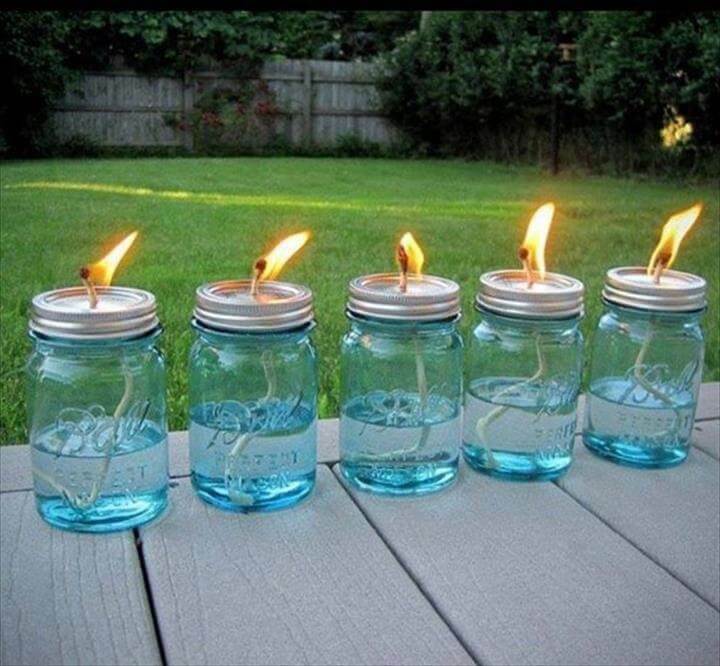 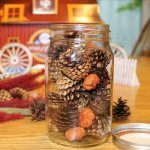 And to let you all avail the incredible tutorial and pictorial guide in this regard we have gone through the much famous crafting websites and brought out these 35 Mason jar light ideas to do yourself. 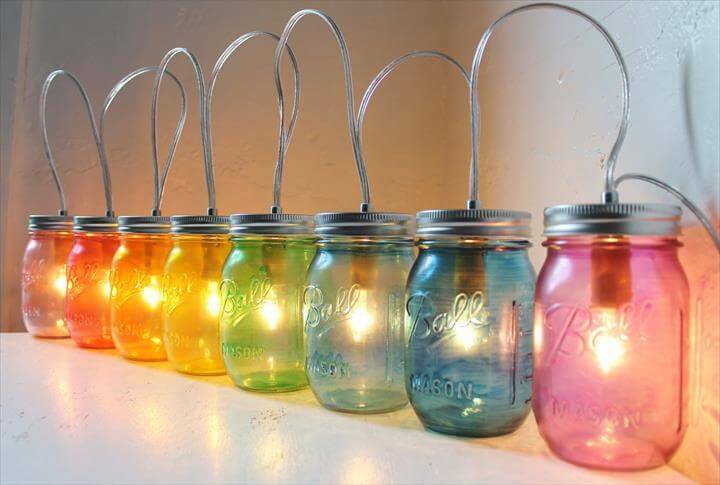 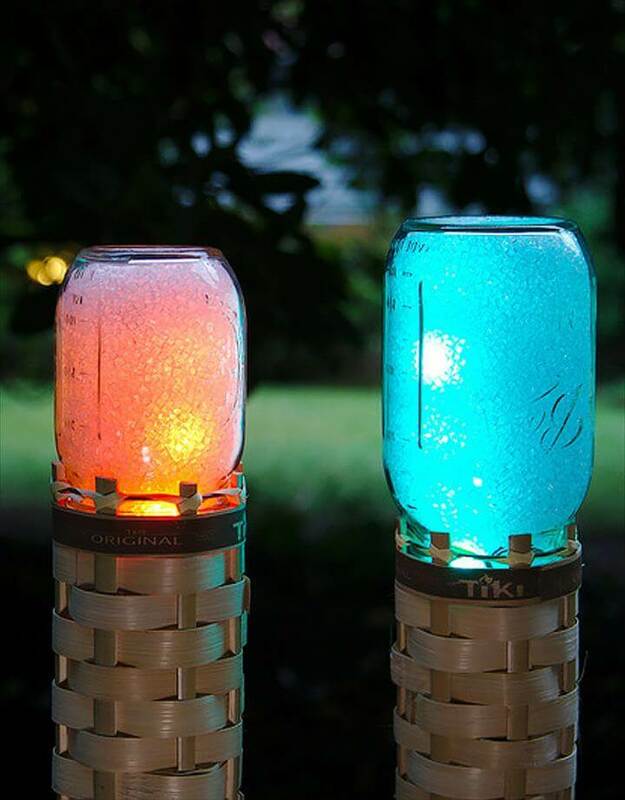 Romantic glow in the dining rooms, bright light in the living and colorful light beams spreading on the garden grass you can get them all through these cheap yet impressive Mason jar light projects. 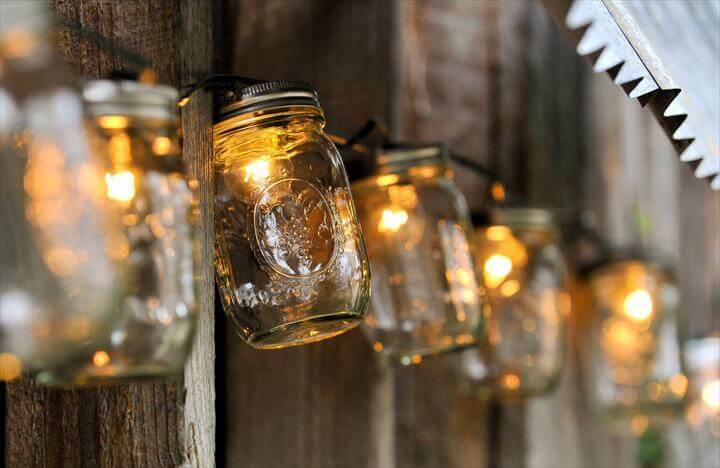 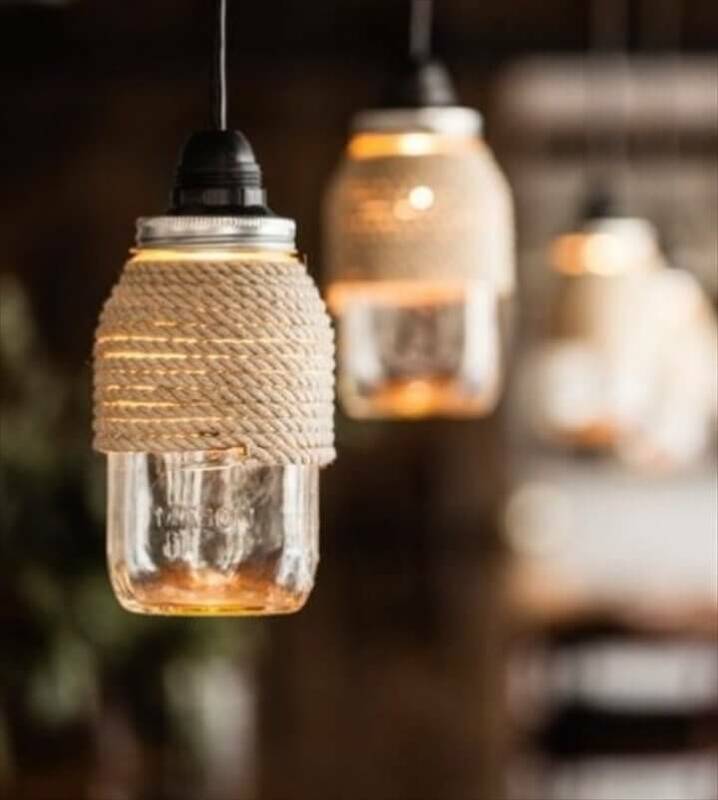 These fancy Mason jar lights would add warmth and pleasure in all the homey sections inluding the indoor and outdoor sections equally. 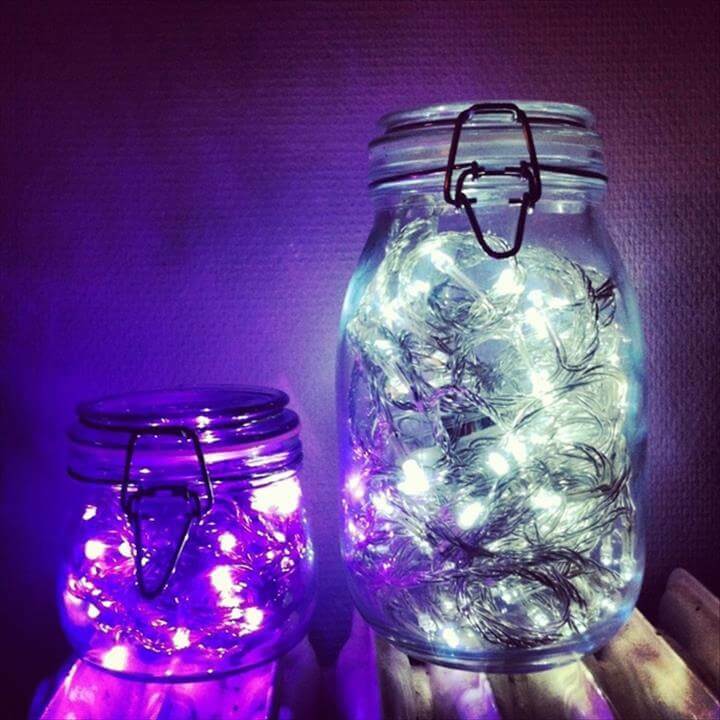 So we invite you take a peek into them all and make the one you liked and admired the most and light up your house in elegant way and that too spending too less.